Emotional abuse. In the NIS definitions, this category includes close confinement, verbal or emotional assaults, threats of sexual abuse (without contact) and threats of other maltreatment, terrorizing, administering unprescribed substances, and other or nonspecific abuse. Close confinement refers to tying, binding, and other inappropriate confinement or physical restriction. Verbal or emotional assault involves systematic patterns of belittling, denigrating, scapegoating, or other nonphysical forms of overtly rejecting treatment. Emotional abuse also includes all varieties of abusive, exploitative, or overtly punitive behaviors where actual physical contact did not occur (such as intentional withholding of food, shelter, sleep, or other necessities, or excessive responsibilities or excessive demands for income-producing work by a child). For the more extreme forms of tying and binding, Harm Standard guidelines permit “inferred harm.” That is, they permit assuming that serious emotional injury occurred in the absence of explicit symptoms, which allows the child to qualify as emotionally abused under the Harm Standard. However, for all other forms of emotional maltreatment, the Harm Standard requires direct or circumstantial evidence of moderate injury or impairment. My ex-wife accused me of emotional abuse. Neither she nor any witness ever even alleged any of the harms in the above paragraph. Commissioner Irwin H. Joseph refused to accept any definition of emotional abuse, or that any specific evidence of abuse needs to be demonstrated. But he sent the cops to seize my kids on an ex-parte motion anyway. Now I am getting a court-ordered evaluation by a psychologist. I am hoping that he follows the generally accepted information in the field. That is what expert witnesses are supposed to do. Serious harm. As noted above, NIS defines an injury or impairment as serious when it involves a life-threatening condition, represents a long-term impairment of physical, mental, or emotional capacities, or requires professional treatment aimed at preventing such long-term impairment. Examples of serious injuries/impairments include: loss of consciousness, stopping breathing, broken bones, schooling loss that required special education services, chronic and debilitating drug/alcohol abuse, diagnosed cases of failure to thrive, third-degree burns or extensive second-degree burns, and so forth.30 Serious harm from Harm Standard maltreatment occurred to 6.6 children per 1,000 in 2005–2006, representing 487,900 children, or over one-third (39%) of all children who were countable under the Harm Standard. Moderate harm. Moderate injuries or impairments are those that persisted in observable form (including pain or impairment) for at least 48 hours (e.g., bruises, depression or emotional distress not serious enough to require professional treatment). Moderate harm occurred to 9.4 children per 1,000 (or 694,700 children) in 2005–2006, and these accounted for over one-half (55%) of all children countable under the Harm Standard. In California, emotional harm has to be serious in order to be actionable. The study has a lot of statistics, but most of them are too coarse to be useful. It finds, for example, that CPS findings of emotional neglect of toddlers has gone way up among low socioeconomic groups. It is harder to tell whether there is any good justification for this increase. It is possible that this is just the easiest way for meddlesome social workers to intervene when they don't approve of some child-rearing practice. 13. Neither party will transmit any written materials to the selected Professional without being requested to do so by the Professional. After getting the go ahead, I sent about 100 pages of court documents. My ex-wife sent 45 pounds of documents! It appears to be the complete court file, more or less. What a waste. It mostly consists of false accusations from my ex-wife, and useless legal maneuvering. The court sometimes seems unable to make a decision, and sometimes rushing into bad decisions. I estimate that about 99% of it was completely unnecessary, but for incompetence of the court. Sarah Palin's oldest daughter, Bristol, is seeking child support from the young man who fathered her 1-year-old son. Documents filed Thursday in Superior Court in Palmer show Bristol Palin is seeking $1,750 a month from 19-year-old Levi Johnston, her former fiance. Their son, Tripp, was born in December 2008. Palin attorney Thomas Van Flein said Alaska law makes clear that a parent of a child is obligated to provide support. "It is unfortunate Bristol has to seek court intervention in this regard," Van Flein said. The details regarding child support come at the same time Bristol is seeking full custody of the baby. She filed a petition for sole custody in early November. Johnston at the very least wants joint custody, said Rex Butler, Johnston's lawyer. Levi is seeking joint custody, and Bristol refuses. There is no reason to think that he is unfit. No more than she is unfit, anyway. Many of the worst ills in our society are caused by single moms like Bristol Palin who do not let fathers even visit their children. Levi Johnston is baffled at Bristol Palin's demand for child support, because he's offered her money in the past but she hasn't taken it -- this, according to Levi's lawyer. Attorney Rex Butler tells TMZ, Levi has told Bristol on several occasions he wanted her to come to his house to pick up checks for Tripp's support. Butler says Levi also told her "it would be nice" if she brought Tripp along when she picked up the checks, because Levi wanted to spend time with his son. Butler says on each occasion Bristol was a no-show. Butler says Bristol is partly to blame for the fact that she hasn't gotten the support she wants. Butler tells TMZ on one occasion Levi was prepared to hand over $3,000 ... but Bristol never showed. I hate to say this, but the law favors Bristol in this situation. 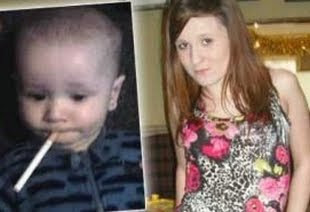 The more she mistreats her son by depriving him of a father, the more she is entitled to welfare and child support. Levi has to pay regardless of how much Bristol violates court orders and punishes her child for her own selfish profit. That is how the system works. I am surprised that Sarah Palin is going along with this. She made millions from her book deal, and has a political image to worry about. I thought that she was in favor of policies that support self-sufficiency and parental rights. And yet she supports Bristol in her effort to cut a boy off from her father just in order to dishonestly collect a few thousand dollars in undeserved benefits. I got a message from an angry dad in Italy, with his web site. I usually assume that people in other countries could not be so stupid as to give family courts so much power to separate fathers from their children. But I have no idea. Perhaps there are meddling judges doing harm everywhere. According to Leeson, this is less crazy than it sounds: As long as defendants believe (superstitiously) that ordeals yield accurate verdicts, guilty defendants always confess to avoid the ordeal. At the same time innocent defendants always opt for the ordeal—and are always acquitted, provided the priests cheat by (for example) substituting tepid for boiling water, or “sprinkling” a few gallons of cold holy water over the cauldron, or liberally redefining what counts as “unharmed”. If the family court used this procedure to determine child custody, would we have a better system or a worse system? I am going to have to think about that. Maybe that what's we already have -- the modern equivalent of trial by ordeal. When police and the Metro Arson Strike Team responded, they also found electrical components in the student's backpack, Luque said. After talking to the student, it was decided about 1 p.m. to evacuate the school as a precaution while the item was examined. Students were escorted to a nearby playing field, and parents were called and told they could come pick up their children. A MAST robot took pictures of the device and X-rays were evaluated. About 3 p.m., the device was determined to be harmless, Luque said. Luque said both the student and his parents were extremely upset. Recommending counseling?! The kid did a very innocent and ordinary science project. Lunatic school authorities went beserk. The kid and his family gets upset. So do the authorities apologize? No, they recommend counseling! When I hear "authorities recommended counseling", I just assume that the authorities made a disasterous sequence of mistakes, and they are trying to make someone else the scapegoat. The authorities probably told the parents that if they get the counseling, then there will be no criminal prosecution, no kid kicked out of school, no bill for emergency services, no CPS investigation, and no one put on the TSA no-fly list. The parents will probably play it safe and get the counseling. Because the bigger the govt screwup, the more the bureaucrats will cover their tracks. In a case that could have far-reaching implications for gay rights, a Santa Cruz woman is seeking to maintain joint custody of 10-month-old twins that she and her former partner, the biological mother of the children, had agreed to raise. As court battles over the rights of non-biological gay parents garner national attention, the Santa Cruz case contains a complicated wrinkle: The biological mother is now involved in a romantic relationship with the sperm donor, who has joined her in seeking full custody of the boys. "It's the first case I'm aware of where a lesbian couple in a committed relationship has brought a child into the world, then after breaking up, the biological mother has tried to sub in the biological father," said Deborah Wald, a family law attorney who, along with the National Center for Lesbian Rights, represents the non-biological mother. "If they won, we would consider it a very dangerous precedent for lesbian couples having children with the assistance of known sperm donors," Wald said. The biological parents, Maggie Quale and Shawn Wallace, who now live together, say they should be allowed to fully parent their twins, Max and Levi, without a court order allowing even partial custody to Quale's former partner, Kim T. Smith. They say the civil lawsuit filed by Smith, who declined to comment, has put them in the painful position of asserting their rights while still appearing to support the growing effort to protect the rights of gay parents. "The last thing we want is more stress and conflict," said Quale, a 33-year-old public relations specialist, who is bisexual. "We know there are a lot of people who aren't going to understand. Shouldn't this only be about what best for these babies?" I am afraid that Quale is about to get a painful education about how the court determines what is "best". No, a lesbian couple did not bring this child into the world. I still don't see how Smith got her name on the birth certificate, when he is not biologically related to the twins, was not married to the mom, was not a domestic partner to the mom, and did not adopt the twins. It must be a consequence of some liberal change to the law that I never heard about. The family court is not equipped to deal with disputes like this. It is just crazy to expect some judge to decide what is in the best interest of the kids. There is a reason why we have marriage and adoption laws. There used to be, anyway. In the infamous Duke University lacrosse case, prosecutor Michael Nifong suppressed exculpating evidence and prosecuted men he knew to be innocent, according to Taylor and Johnson. Most discussions of the Duke lacrosse incident blame the prosecutor, but I blame the judge much more. The boys had iron-clad proofs of innocense -- ATM receipts across town, negative DNA tests, and failure of the accuser to identify them or tell a consistent story -- and yet the judge still denied a motion to dismiss the charges. The world has gone mad. How is it that there are people who think that it is a good idea to have the govt regulate how husbands and wives talk to each other? There are too many things wrong with this for me to list. It makes me think that feminists and shrinks are out to destroy civilization as we know it. A Brooklyn father is hoping for a rebate of more than $40,000 he has overpaid in child support since 2003, according to court papers. Francois Jadotte contends that the city kept garnisheeing his wages -- at the rate of $121 per week -- even after his daughter turned 21. So he was still being forced to pay child support for a daughter who turned 21 in 2003? That makes her 28 years old this year. I object to calling this "child support". None of this money went to support a child. She wasn't even a child. And she did not get any of the money. It was just a tax that went into the city bank account. You are declaiming in ignorance. Family law proceedings ARE public, so are the files. However the public's right to know IS balanced against other rights. The children in family proceedings have rights that they are ill equipped to defend. Chief among these in your case "George" are medical/mental facts, history, and diagnosis of your young children. That is why the court may seal certain evidentiary material. The family court may seal records under Calif. Rule 2.550, provided that the conditions there are satisfied. I have no quarrel with that. But the court did not seal any records in my case under that rule. In my case, the children were well-equipped to protect their privacy rights. Commissioner Irwin H. Joseph appointed a lawyer, James Ritchey to represent those interests. I paid his bills, at $200 per hour. The records in question do not say that my kids have any medical or mental problem, or that they have had any unfavorable diagnosis. The records say that the kids are healthy, happy, and doing well. The records were approved for release by CPS agent Sally Mitchell, her boss, her boss's boss, Ritchey, County Counsel Shannon M. Sullivan, and Cmr. Joseph. Only after Ms. Mitchell gave contradictory testimony and Cmr. Joseph said that he was not relying on her, the records did he order that her testimony and records were to be sealed. He never argued that there was any need to protect the kids under Rule 2.550. He just sealed them because they were personally embarrassing to him and to CPS. Yes, I do use a pseudonym for myself, but not for those who, openly and publicly, make false, malicious, and vindictive accusations against me in court. They have told everyone in town that my kids are abused kids. Public access to the records would show the opposite. I am defending my kids' rights when I post evidence that they were not abused. I would have much preferred it if my case were not public. It was my ex-wife who went public with this stuff, not me. I am just defending myself and my kids.